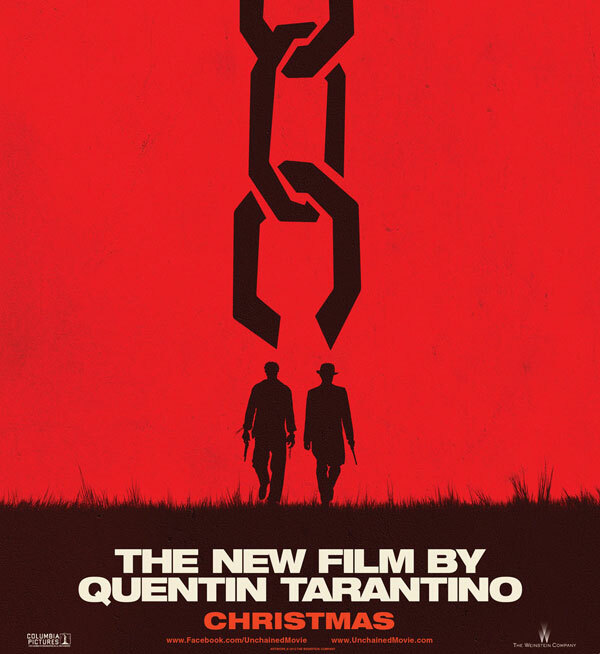 Quentin Tarantino’s Django Unchained is, in a single word, brutal. Unflinchingly, gorily, misanthropically, even gleefully brutal, to a point that a couple scenes were so ruthless they will churn your guts. Now I survived Irreversible, so that’s saying a lot. This observation is neither a complaint nor praise, but rather a (obvious?) comment on a filmmaker who has never pulled punches, and he certainly doesn’t do so here. But unlike other films where the comic book violence added to the overall texture of the film, in Django Unchained there are a couple moments that teetered so far on the edge of human cruelty that I found watching them distracting, not adding to the overall arc of the movie but rather only detracting from the all-out fun that a Tarantino production normally supplies. But all that said, what the hell does he, or should he, care what I think? Quentin is one of the few filmmakers that has earned his unquestioned keep. If he deems these scenes necessary to tell his story, well then I’ll just sit there and take it like Marcellus Wallace in a pawn shop basement. If you don’t know by now, the film stars Jamie Foxx as the titular protagonist, a slave who is bought by traveling dentist/bounty hunter Dr. King Schultz (played superbly by Christoph Waltz) who offers Django freedom if he helps him hunt down a family of fugitive slave traders. Django agrees. You can guess where it goes from here: down a dusty, blood-soaked, bullet-riddled, dynamite-fused mule path from Texas to Mississippi, populated by the most backwards, absurdly racist hillbillies and Southern Scum ever portrayed on celluloid. They make the banjo pickers of Deliverance look like Rhett Butler. This film will undoubtedly court controversy unlike any film in Tarantino’s past, which is saying a lot if anyone remembers the high-pitched caterwauling from parent groups regarding Pulp Fiction’s largesse of graphic violence. This is, after all, a director who gleefully sliced off a man’s ear to the perky stylings of Stealers Wheel’s “Stuck in the Middle With You”. But beyond the previously stated graphic brutality, Django Unchained may just ruffle more feathers for the 10,000 megawatt light it shines on the pre-Civil War South, and the noxious racism woven in its culture. I wouldn’t be surprised if Quentin Tarantino effigies are burned aloft from Fort Bliss, Texas to Beaufort, North Carolina when this film hits theaters. And here’s where Quentin has his fun. Not just in the absolutely mind-boggling variations that the N-word is used, but in the glaring light he paints the white uber-class who lived in this culture unblinkingly. The racism is applied with such frequency and viciousness that it becomes a running joke. Coming from a post-racial generation (at least here in Los Angeles urban peer groups), the debasement is so absurd — and yet, utterly believable — that all you can do is laugh. It is a caustic mashup of spaghetti western with a Chris Rock standup, shot through the wide-angle cinematography of Robert Richardson. Like Bill Clinton, Tarantino has always been beloved by the black community — expect this appreciation only to grow. Well let me clarify: “official” voices of African American culture like Al Sharpton may whine and shake their fists at Django Unchained, while most black people I know will nod knowingly, laugh and clap. But maybe that’s what the tone is all about. Tarantino’s movies are always wildly entertaining, in ways so unique and singularly voiced that he has become a school unto his own — like Wes Anderson, Scorcese or the Coens. You know by the time the credits start to roll that you are witnessing a Tarantino film. There is no doubt. And that is a feat for any world class film-maker. There is the music (as always, spot on), the kitschy camera effects and cuts, and of course the dialogue. That rabid, off-the-cuff banter often miserably imitated but never remotely matched. Offsetting the scenes of violence are at least three vintage Tarantino exchanges/soliloquoys that raise the tension of the film to such a high wire pitch that you think the film might just melt. As the undisputed King of the Vengeance Film, we’ve often followed Tarantino’s plot twists and rooted for a man seeking redemption. But I can’t remember an ambition, and resolution, as powerful as Django’s quest to free his beloved Broomhilda. It is arguably the most moving scene Tarantino has ever filmed, without even trying to be. It’s important to note how much fun everyone in this movie appears to be having in playing out Tarantino’s roles. Leonardo DiCaprio is at his best playing Calvin Candie, the evil owner of the Candie Land plantation. He’s clearly relishing the opportunity to play the bad guy for once. And Jamie Foxx, who honestly I normally don’t care for, is perfectly understated as the vessel of vengeance. But best of all (other than Waltz, that is) is Samuel L. Jackson as the quintessential Uncle Tom. One day when an 80-year-old James Lipton interviews a grey and retired Jackson, and Lipton asks Jackson what were his five favorite roles he’s ever played, I’d be shocked if the house slave Stephen wasn’t at the top of the list. No joke, Jackson could very well find himself nominated for an Oscar. Perhaps the most important question is would I recommend Django Unchained? The answer is yes, but certainly not for any sort of family or holiday viewing; I think my mom would pass out. Or even weep openly during some scenes. But for those who think they can stomach the visual horrors of what man can do to another man, then you won’t want to miss Django Unchained.